Des Bishop is an Irish-American comedian. Irish-American Comedian most known for his entertainment documentaries The Des Bishop Work Experience (2004), Joy in the Hood (2006) and In the Name of the Fada (2008), all of which aired on Irish Network RTÉ. 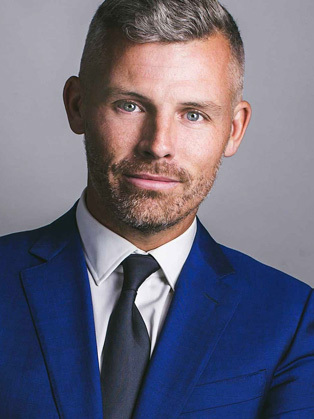 As a native New Yorker, Des Bishop moved from Queens to Ireland in his mid-teens in 1990. He has since carved out a highly successful career in stand up comedy and is one of the most in-demand comics on Irish television; having had three acclaimed television series on RTE, Ireland. Des has released four stand-up DVDs including Des Bishop Live (2005), Tongues (2008) and Desfunctional (2009); all reaching top ten in the DVD charts. The openness and honesty of his presenting style combined with his restless imagination and insightful comic observations make Des Bishop a must-see for fans of unique, enquiring and entertaining comedy.